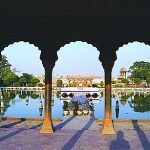 The Shalimar Gardens (or the Shalamar Gardens), a Persian type garden complex built by the Mughal emperor Shah Jahan in 1641 AD, is situated in Lahore, Pakistan. 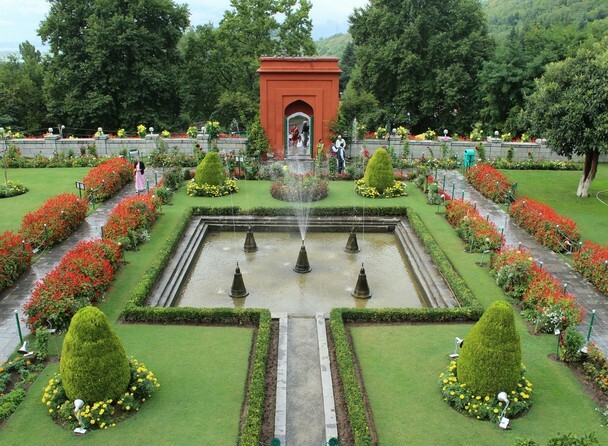 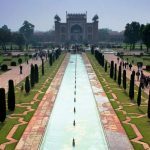 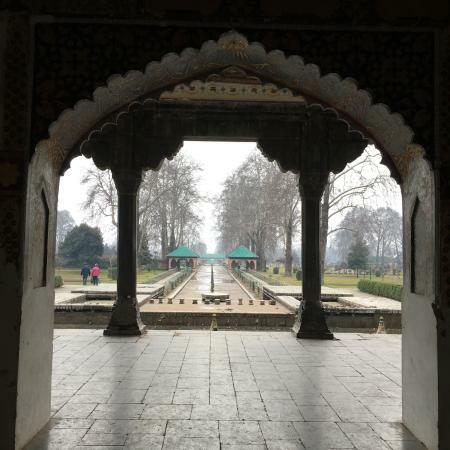 It is one of the most significant among other Mughal Gardens. 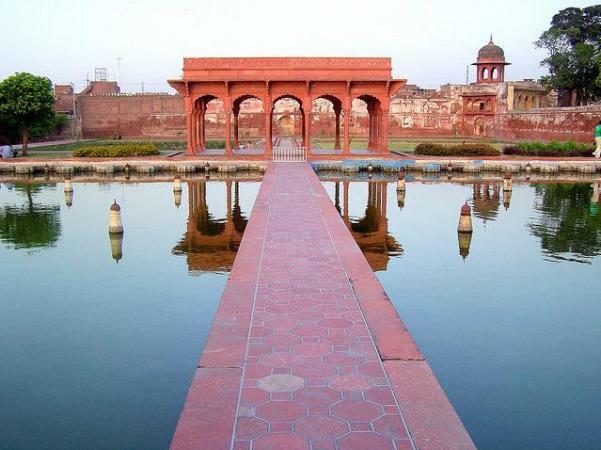 Its construction was supervised by Khalilullah Khan, who was a noble in Shah Jahan’s court. 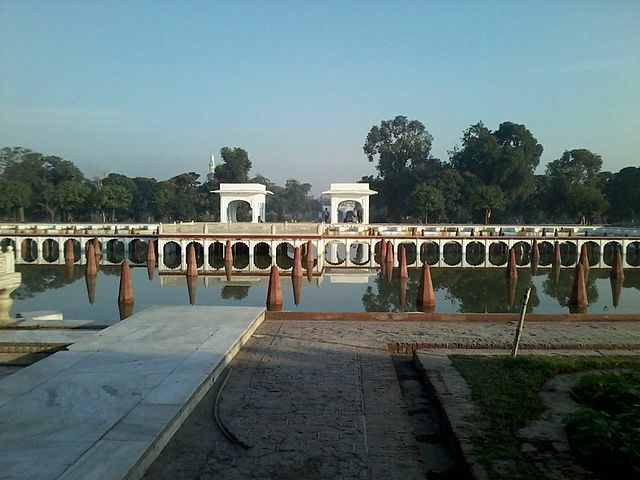 The complex lies near Baghbanpura, around 5 km northeast of the city of Lahore. 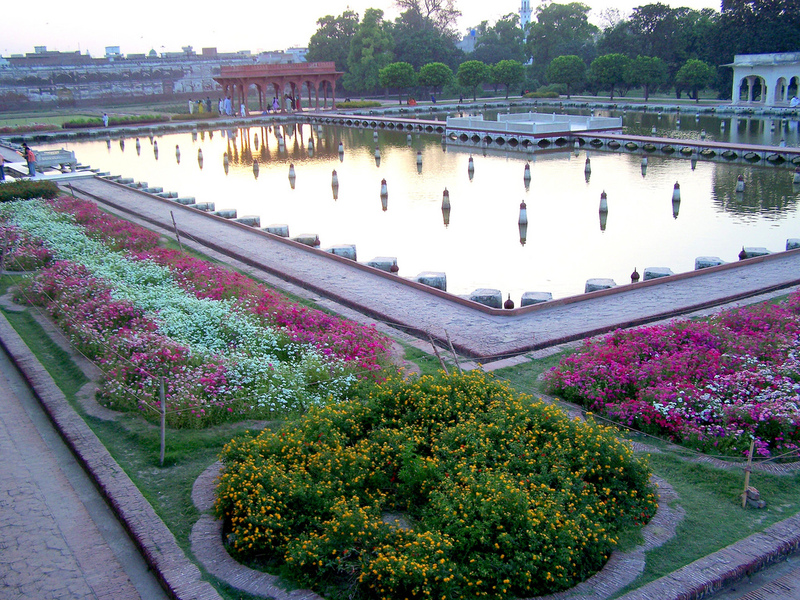 The garden complex got influenced by regions like Central Asia, Persia, Kashmir, Punjab and the Delhi Sultanate. 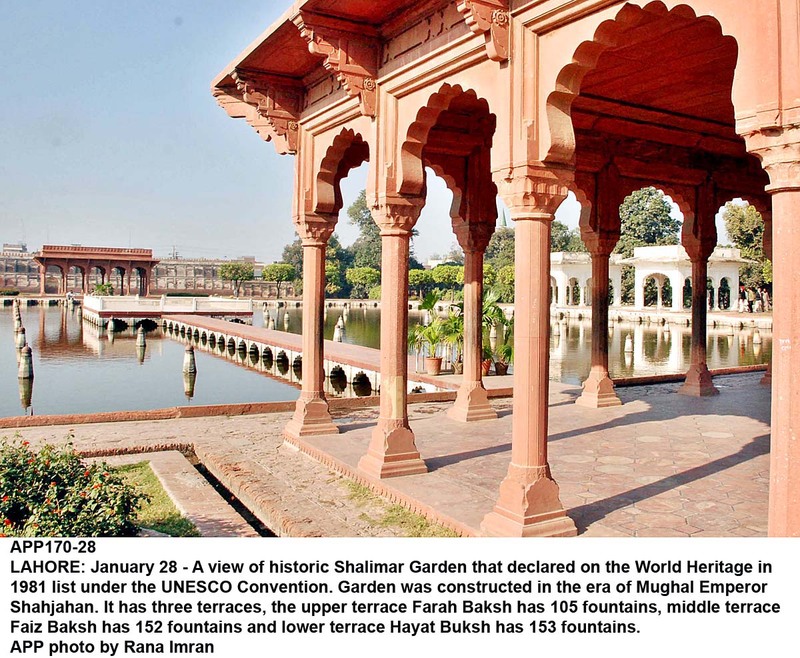 The Shalimar gardens were incorporated into the list of UNESCO World Heritage Sites along with Lahore Fort in 1981. 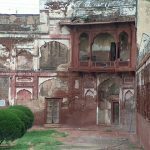 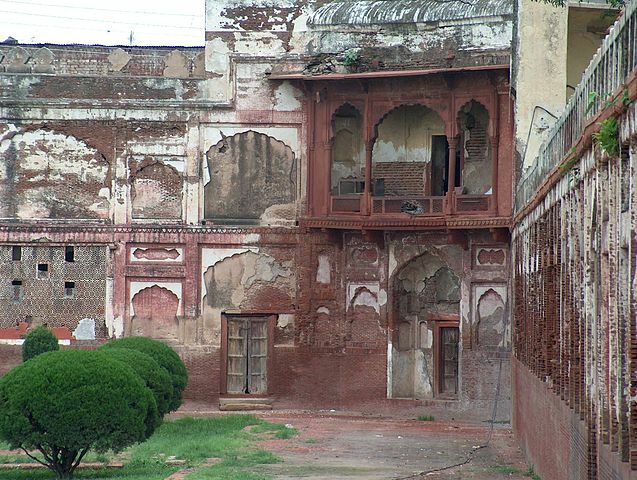 The Arain Mian Family Baghbanpura was the original owner of the site where the garden complex is located. 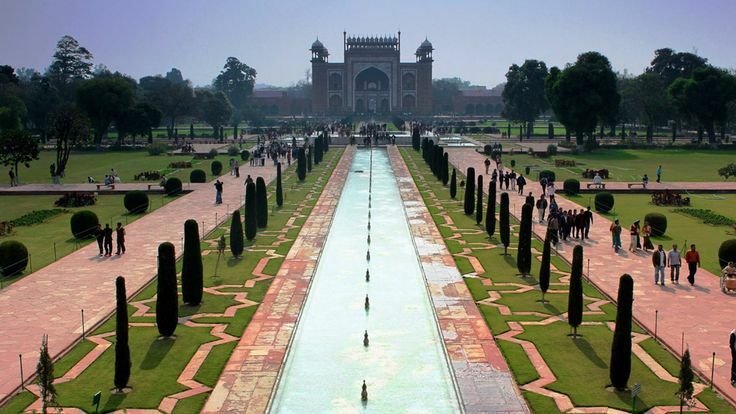 The Mughal emperor Shah Jahan conferred the royal title “Mian” to the family for their services to the Mughal Empire. 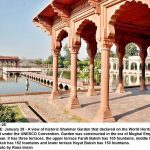 Mian Muhammad Yusuf, the head of the family during that time handed over the site of Ishaq Pura to Shah Jahan as pressure was mounted by the royal engineers who planned to construct on the site due to its soil conditions and good location. 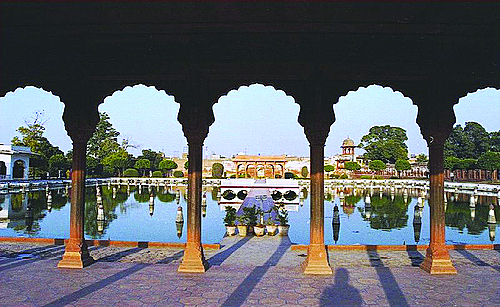 Shah Jahan granted the governance of the Shalimar gardens to the Arain Mian family in return. 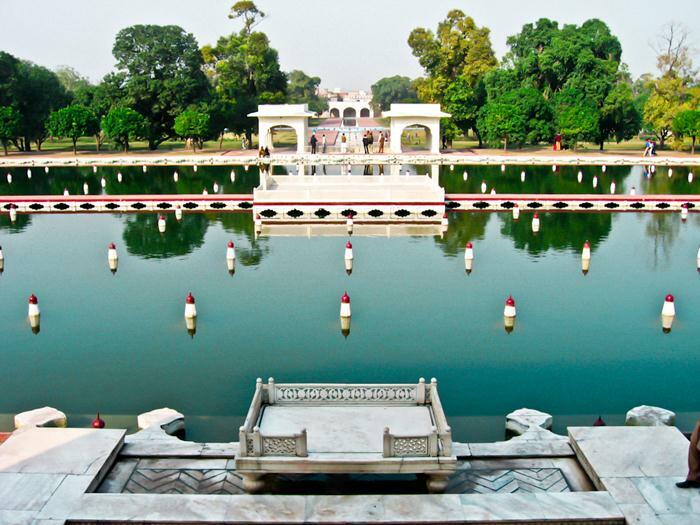 The family remained the custodian of the gardens for more than 350 years. 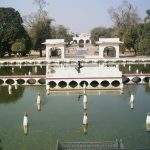 General Ayub Khan nationalized the Shalimar Gardens in 1962 as because the leading family members of the Arain Mian family opposed the imposition of martial law by the General in Pakistan. 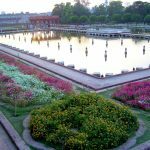 General Ayub Khan also ordered the closure of the Mela Chiraghan festival use to be held in the gardens in 1958. 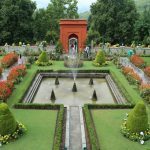 The garden complex resembles an oblong parallelogram. 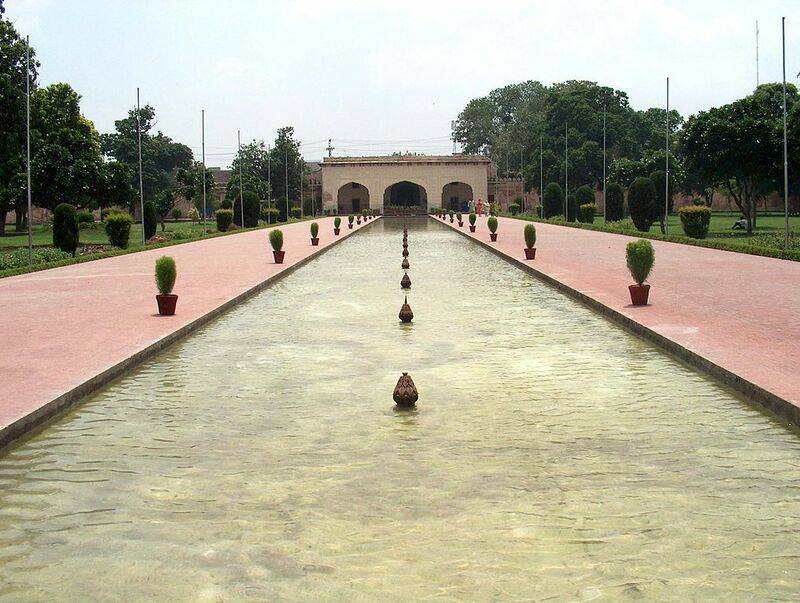 Its architectural design is based on that of Char Bhagh. 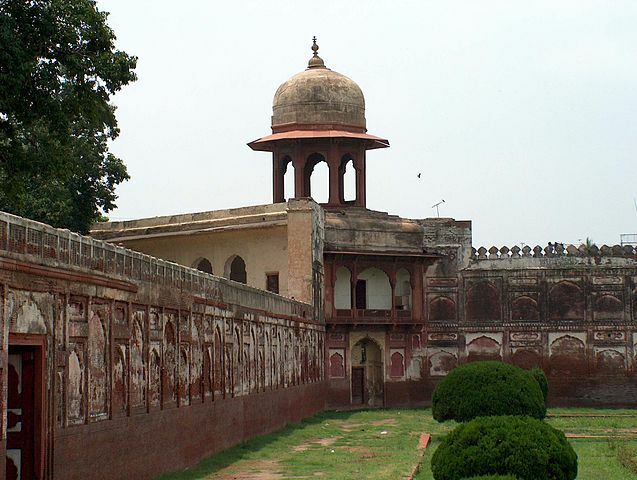 A high brick wall famous for its detailed fretwork surrounds the garden. The complex is 658 meters from north to south and 258 meters from east to west. 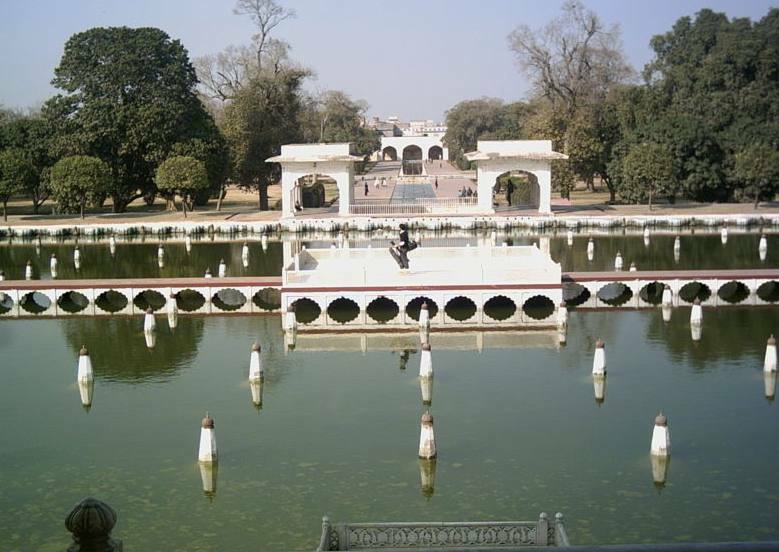 The garden is spread out in three elevated levels of terraces mounted above one another. 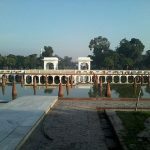 The lower level is known as Hayat Baksh, which means Benefactor of Life. 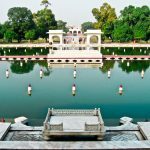 The second or the middle level is known as Faiz Baksh, which means Benefactor of goodness while the third or upper level is known as Farah Baksh meaning Benefactor of Pleasure. 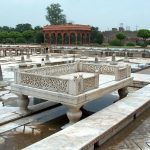 There are in total 410 fountains with waters flowing into marble pools. 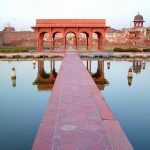 Such is the creativity that went into the making of the water systems and thermal engineering that the scientists even today are unable to gauge the designs from the blueprints. 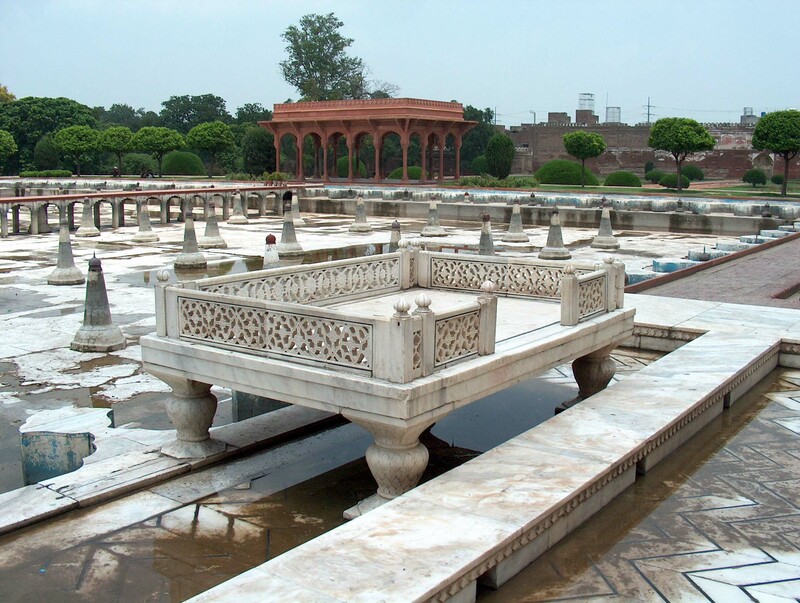 The water of the fountains helps to cool the surroundings especially during the scorching summer months of Lahore and is a relief for the visitors. 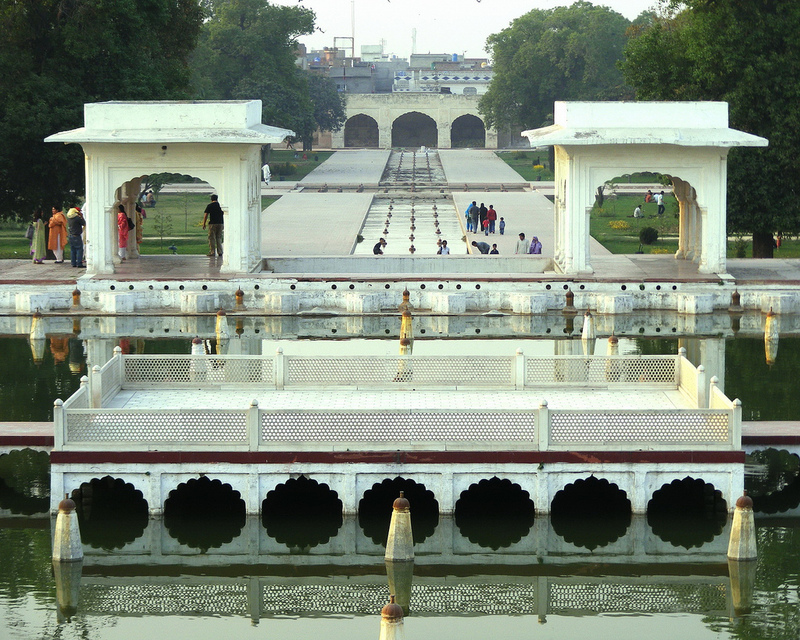 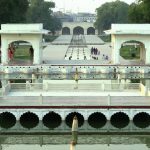 There are also five water cascades in the garden that includes the Sawan Bhadoon and the great marble cascade. 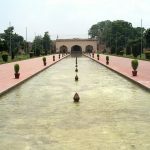 The garden complex houses numerous buildings which includes Sawan Bhadun house, Naqar Khana, Khwabgah or room meant for sleeping, Hammam or the place of bath, the Aiwan or the big hall, Aramgah or place of resting, Khawabgah of Begum Sahib or the fantasy place for emperor’s wife, Baradaries or the resting places during summer especially to enjoy the coolness generated by the fountains in the gardens, Diwan-e-Khas-o-Aam or the place of interaction of special and ordinary people with the emperor. 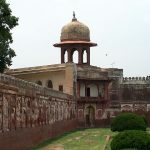 In addition to the above buildings, the complex houses two gateways and minarets at the corners. 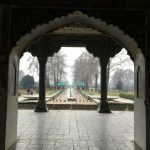 Numerous trees were planted in the gardens which include apple, mango, almond, cherry and a host of other fruit bearing and odoriferous plants that are bound to delight the visitors and nature loving tourists.